Google Analytics is a free web analytics tool offered by Google to help you analyze your website traffic. If you are the operator of a small to medium sized business, or an entrepreneur who is establishing a new one, Google Analytics can be a valuable tool to grow your business online. Your website will serve as a hub for all of your digital traffic. If you are running any marketing activities such as search ads or social media ads, your users are most likely going to visit your website somewhere along their user journey. Your website will be the central hub of your digital presence. As such, your website is the best way to give you a holistic view of the effectiveness of all the marketing campaigns you are running to promote your product/services online. Google Analytics is a free tool that can help you track your digital marketing effectiveness. Over 50 million websites around the world uses Google Analytics. If you are not using it, you should set it up right now. We provide this service to ours customers as a standard part of our web development package. You don't have to really understand anything to get started. We'll take care of everything - it will come as a turn-key part of your new website. 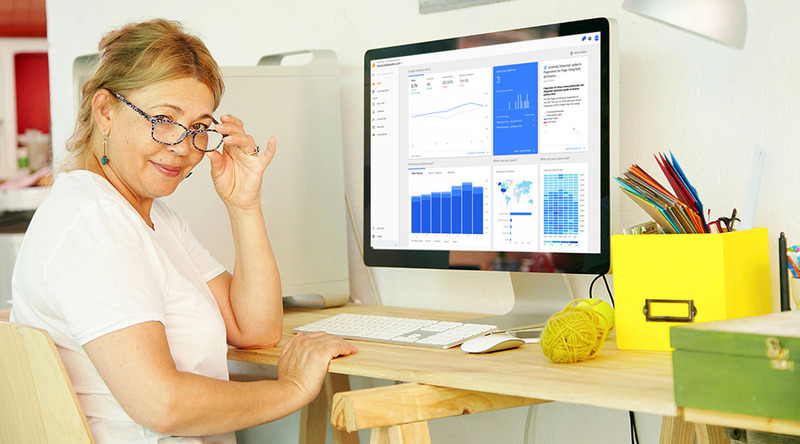 We don't charge for service and support after your website is done, so we'll be helping you to understand what Google Analytics tells you and put that insight into increasing sales of your products and services. When we build your website we add several lines of tracking code into the code of your website. The code records various activities of your users when they visit your website, potentially along with the attributes (such as age, gender, interests) of those users. It then sends all that information to the GA (Google Analytics) server once the user exits your website. There is an incredible amount of information waiting for you in Google Analytics. You will see the real time activity going on in your website. There is tons of information on things like the percentage of users using specific devices, search engines that are sending you traffic and all of the information on visitor page traffic. If you want to find out more about Google Analytics just give us a call at 512 469-7454 or send us an email .